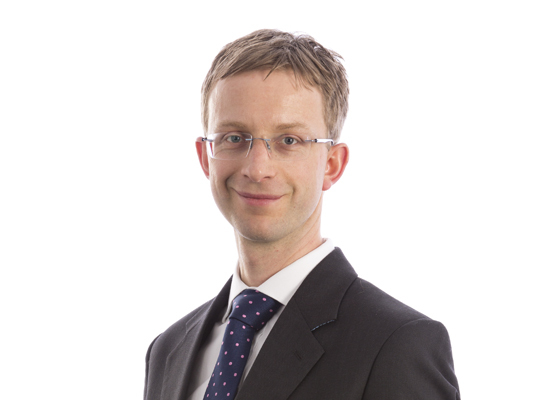 In an important judgement for the interpretation of second medical use claims in the UK, Mr Justice Arnold refused a request by Warner Lambert for an interim injunction against Actavis in relation to its plans to launch a generic version of the drug pregabalin (Warner-Lambert v Actavis  EWHC 72 (Pat)). The request was based on Warner-Lambert’s claim that Actavis would infringe its second medical use patent directed to pregabalin for treating pain. In refusing the request for interim relief, Arnold J held that the case did not raise a “serious issue to be tried”. This judgement provides some much needed clarity in relation to the scope of protection conferred by second medical use claims. Warner-Lambert (part of the Pfizer group) markets pregabalin (trade name Lyrica), a prescription-only drug, for three disorders: epilepsy, generalised anxiety disorder (GAD) and neuropathic pain. Patent protection for pregabalin itself expired on 17 May 2013 and Warner-Lambert’s data exclusivity expired in July 2014 leaving the second medical use patent, EP(UK) 0 934 061 (“the Patent”), as the only barrier to generic companies. Actavis are on the verge of obtaining a marketing authorisation for generic pregabalin (Lecaent), which will be indicated only for epilepsy and GAD in its summary of product characteristics (SmPC), a so-called “skinny label”. Warner-Lambert applied for an interim injunction requiring Actavis to take a number of steps to prevent Lecaent from being dispensed for treating pain. Arnold J noted that in the UK, “[w]here a generic product such as Lecaent has been authorised on the basis that it is bioequivalent to a product such as Lyrica, the fact that the SmPC for the former omits an indication included in the SmPC for the latter does not prevent doctors from prescribing or pharmacists from dispensing the former for that indication”. He therefore acknowledged that it is foreseeable that pharmacists will prescribe Lecaent for the treatment of pain (the patented indication), as well as for its approved indications, unless positive steps are taken to prevent this. 6. write a letter to all Clinical Commissioning Groups (CCGs) in the UK, prior to first supply of Lecaent, providing similar information to the letter of point 3 (see above). It is clear from the judgement that Arnold J did not consider that any of the measures 1-6 were likely to be particularly effective in ensuring that generic pregabalin was not dispensed for the treatment of pain. Nevertheless, with regard to points 3 and 6, Actavis had it seems agreed to write to pharmacies and CCGs. In relation to point 5, Arnold J considered that there was no point in Actavis writing to NICE as it was well aware of the position. Indeed, Warner-Lambert had already contacted NICE leading to the amendment of the relevant clinical guideline to include information about the Patent and the warning that “until such time as this patent expires generic pregabalin products will not be licensed for this indication [neuropathic pain] and their condition would be off-label and may infringe patent”. The areas of dispute between the parties were in relation to point 1 (“contractual terms”) and point 4 (“notice on the packaging”). In deciding whether to grant the interim injunction, Arnold J addressed the interpretation of claims 1 and 3 of the Patent, which are in the Swiss form. Following the line of reasoning set out by the EPO Board of Appeal in T1780/12, Arnold J explained that Swiss form claims, as process claims, have a different scope of protection to EPC2000 claims (or purpose-limited product claims), and that an assumption should not be made that comments made in the Judgement are equally applicable to EPC2000 claims. This represents a departure from previous English court judgements, some of which have suggested that no distinction will be made between these two forms of second medical use claim. With respect to Warner Lambert’s primary claim of direct infringement, the dispute between the parties was whether Actavis’ activities would fall within the requirement of the Swiss claims that the pharmaceutical composition be “for treating (neuropathic) pain”. It was accepted that Lecaent is suitable for treating (neuropathic) pain. However, in interpreting the term “for” in the Swiss claims, Arnold J held that the key question was whether this pharmaceutical composition was intended for treating (neuropathic) pain. This interpretation is consistent with the recent High Court judgement delivered in the case of Hospira UK Limited v Genentech Inc  EWHC 1094, in which Birss J said that “[i]n this sort of claim “for” means “suitable and intended for””. Importantly, Arnold J went further and considered the following two questions: firstly, whose intention is relevant; and, secondly, what is meant by “intended”? In relation to the first question, since the claims are to a process of manufacture (Swiss form claims), the relevant intention was held to be that of the person who carries out the process (i.e. Actavis or their manufacturer). As an aside, it is easy to see how this question might be answered differently for an EPC2000 claim; would the relevant intention for such a purpose-limited product claim still be only that of the manufacturer or would the intentions of others in the supply chain also be relevant? Warner-Lambert had also claimed for indirect infringement for which it needed to show that Actavis supplied “means, relating to an essential element of the invention, for putting the invention into effect”. With regard to this claim, Arnold J commented that: “[t]here can be only be infringement under section 60(2) if there can be infringement by the person supplied or by a user further down the chain of supply (although it is not necessary for there actually to be an infringing act). This is not the case here, since no wholesaler or pharmacist will use Lecaent to prepare a pharmaceutical composition.”. The observations on this point represent a very narrow and literal interpretation of Swiss claims, which would not appear applicable to EPC2000 claims. Therefore, following Arnold J’s interpretation, EPC2000 claims would appear to prove a clear benefit over Swiss form claims with regard to establishing indirect infringement. Despite concluding that Warner-Lambert’s claim did not give rise to a “serious issue to be tried”, Arnold J went on to consider the likely harm to Warner-Lambert if no relief was granted and the likely harm to Actavis if relief was granted. Regarding Warner-Lambert’s position, he conceded that it was difficult to quantify the scale of the loss that Warner-Lambert would suffer in the period before an order is made at the full trial but was not convinced that it was likely to be substantial. He also speculated on the relief that Warner-Lambert might obtain if successful at trial noting that “it is difficult to see that Warner-Lambert could do any better than to obtain a final order requiring Actavis to put a notice on its packaging and to impose contractual terms on its customers”. In contrast, Arnold J considered that Actavis would be likely to suffer substantial unquantifiable loss in two ways. Firstly, if it were forced to put a notice on the packaging, this would delay the entry of Lecaent onto the market. Secondly, the requirement to put a notice on its packaging and introduce contractual terms with regard to the dispensing of Lecaent would both be likely to deter pharmacists from stocking the drug, which would result in Actavis being excluded from the non-patented market. Given the uncertainty surrounding the enforcement of second medical use claims internationally, this Judgement provides welcome guidance in the UK. However, many of the key questions remain unanswered including what is needed in order to show “subjective intention” on the part of an alleged infringer. Since the full trial is scheduled for June this year and Arnold J’s judgement has been appealed, we can hope for more answers soon.